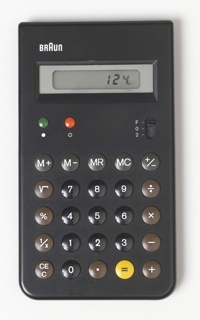 See more objects with the tag recording, tool, numbers, mathematical, keyboard, calculation, accountants, levers, logos. See more objects with the color darkslategrey darkolivegreen grey darkslategrey darkseagreen or see all the colors for this object. 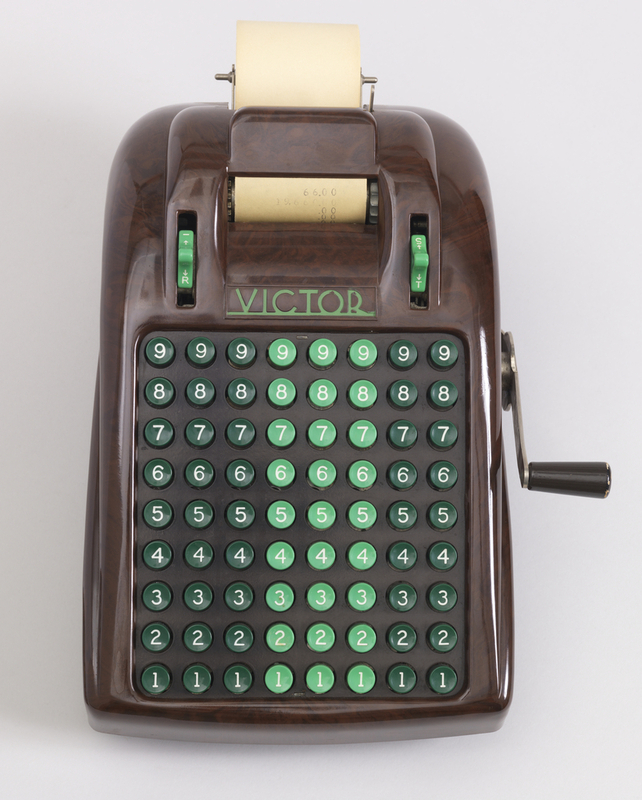 This is a Adding machine. It is dated ca. 1942 and we acquired it in 1993. Its medium is molded bakelite, metal, painted wood (handle). It is a part of the Product Design and Decorative Arts department. This object was donated by Max Pine. It is credited Gift of Barbara and Max Pine.